I was bartending at a punk rock Chinese restaurant called Kung Pao Kitty in Hollywood. Amid pagodas and red lacquered wallpaper was a wooden Buddha next to the draft handles. A friend with a jolly laugh sat at the bar. “Mr. Curtis, I’ve been craving one of your concoctions. What can you mix up today?” In the fridge was a bottle of Bärenjäger in a wicker jacket with a bee-hive lid. Next to it was cold sakè. Stirred together in equal parts it was delicious. The flavor was banana from the rice wine and a hint of honey, not too sweet. He loved it. Preparation: Combine ingredients in a standard mixing tin with ice. Stir until well chilled or shake vigorously should you want to create more icy dilution. Hawthorne strain up in a chilled coupe. 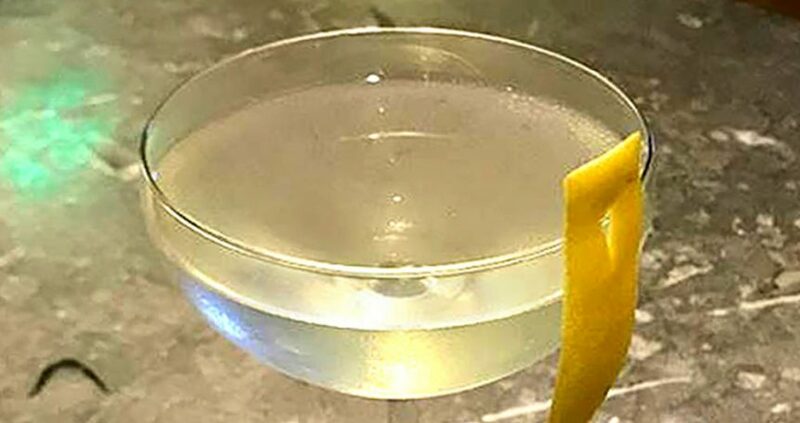 Garnish with a lemon peel. Josh is one of L.A.’s premiere bartenders whose launchpad was Rod Dyer’s Pane e Vino (Zagat Guide’s “Best Patio in L.A”). In 2002, it was Vida in Los Feliz making infusions for the famous “Roadkill” cocktail for Chef Fred Eric. In 2005, he defined “Bar Fresh” in LA at the Hungry Cat directed by Chef David Lentz and Chef Suzanne Goin. 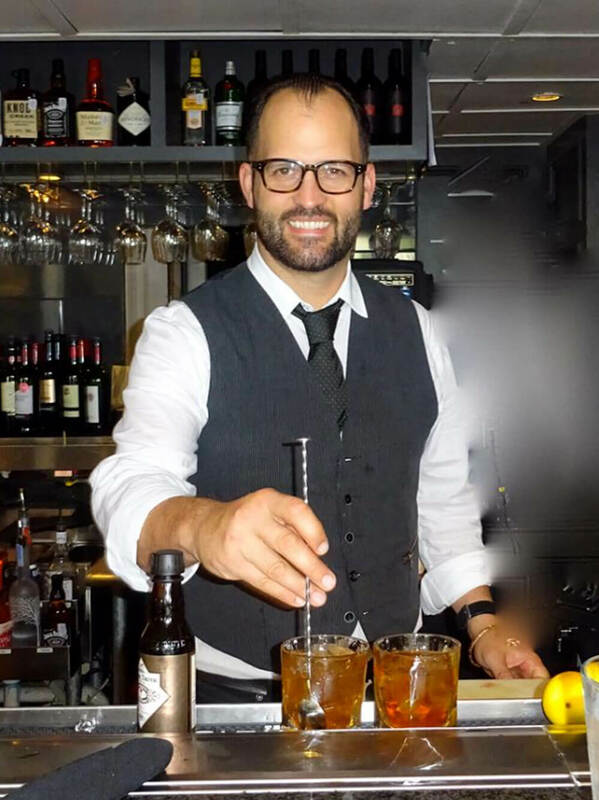 Josh has also bartended at many exclusive music & movie premieres and in the private homes of celebrities including Mark Mothersbaugh of DEVO, artist Mark Ryden, Cheryl Hines, & Jacqueline Bisset. He just completed a cocktail book “Somewhere It’s 5 O’clock” with designer Rod Dyer. 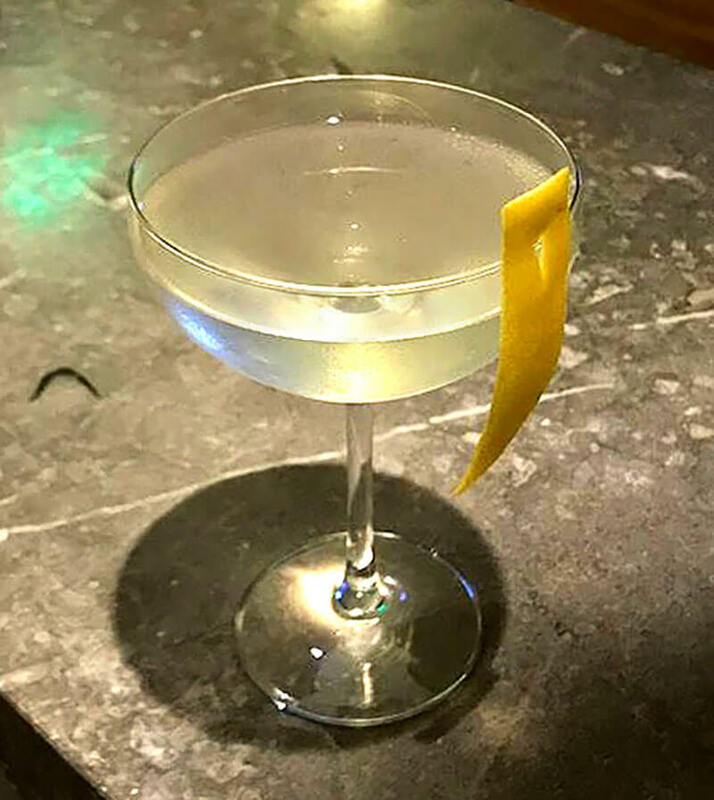 His signature “Curtis Bitters” are on the menu at La Descarga and Vincenzo Marianella’s “Copa d’Oro.” Follow Josh on Instagram to see his weekly cocktail menu for Shutters on the Beach in Santa Monica and for Carbon Beach Club at the Malibu Beach Inn, where he is now the Bar Director.